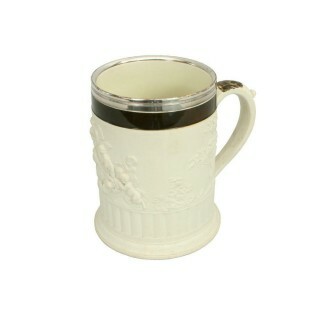 LARGE ADAMS WHITE STONEWARE TANKARD / MUG. 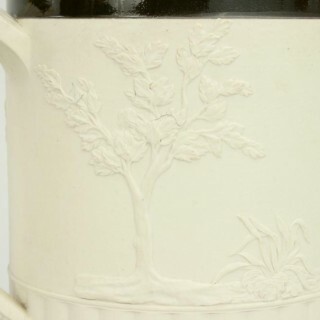 A large white stoneware tankard by Adams. 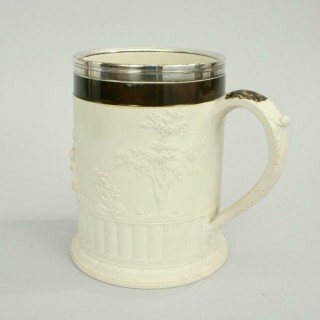 The mug has a large handle and a plated metal rim made by Thomas Law & Co. 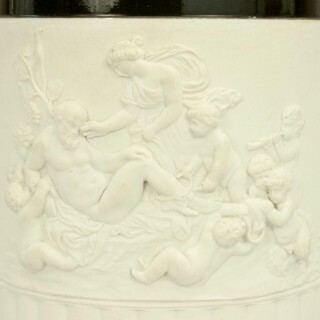 The scene is in relief and depicts a drunken Silenus propped up by a tree with his crew all around him, some drinking and another playing the pipes. ‘ADAMS’ is impressed on the underside. 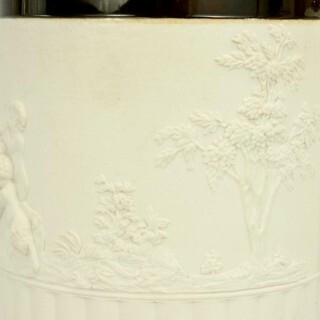 Silenus (or Seilenos) was the drunk demi-god and roamed the countryside with his crew drinking, making mischief and chasing nymphs, he rode in the train of Dionysos seated on the back of a donkey.